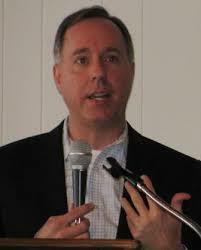 This week the National Conference of State Legislatures announced the election of Wisconsin State Assembly Speaker Robin Vos as president-elect of the organization. The National Conference of State Legislatures (NCSL) is a bipartisan organization comprised of 7,383 state legislators. NCSL was founded in 1975 and is headquartered in Washington, DC and Denver, CO.
Vos’ election to president-elect marks the first time a Wisconsin legislator has held the position. Vos, a Republican, assumes the role of president in 2019. Toi Hutchinson, Democrat from Illinois, currently holds the position. NCSL alternate between legislators from major parties to serve as president.